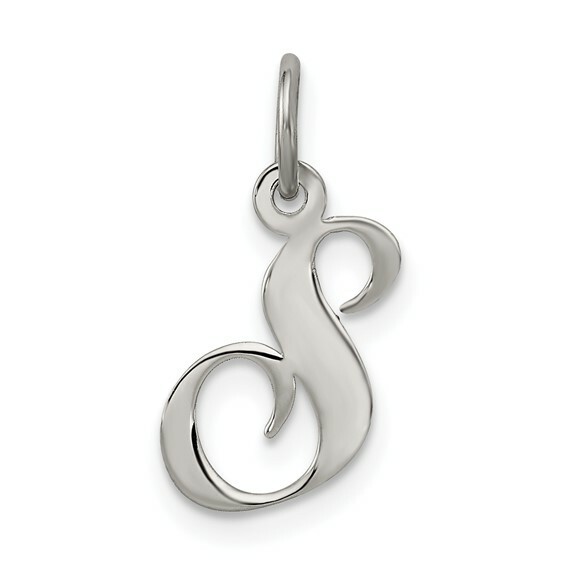 Sterling Silver Small Fancy Script Initial S Charm. Weight: 0.4 grams. Measures 3/8 inch tall. Jump ring is 5.2mm. Totally poor, thin cheap quality. An embarrassing gift. The company also charged me for items they did not have in stock. This initial lasted one hour.. It broke in half. What garbage.